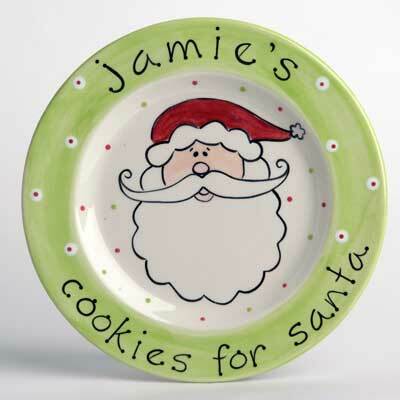 This very sweet cookie's for Santa plate is perfect for the holidays! The little ones will be so excited each year to bring out Santa's plate, so he and his reindeer can receive their special treats. Hand-made and personalized, this plate will be cherished for years to come. Specially made to order and ships directly from the designer.